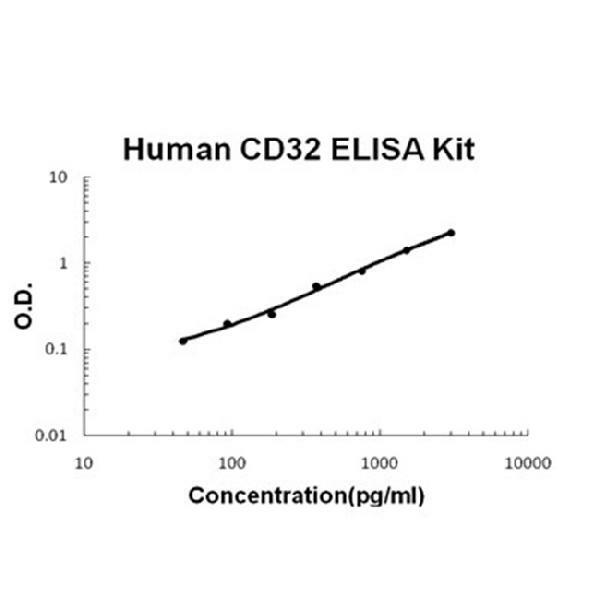 Sandwich High Sensitivity ELISA kit for Quantitative Detection of Human CD32/FCGR2b/c. 96wells/kit, with removable strips. Isoform IIC1 is detected in monocytes, macrophages, polymorphonuclear cells and natural killer cells. CD32 is a surface receptor protein and part of a large population of B cell co-receptors, which act to modulate signaling. It has a low-affinity for IgG antibodies and down-regulates antibody production in the presence of IgG. This feedback loops essentially lowers the production of IgG produced by B cells when there is a surplus in the body.